Participants in a Crafting a Meaningful career class going over a "Timeline of your life" assignment. 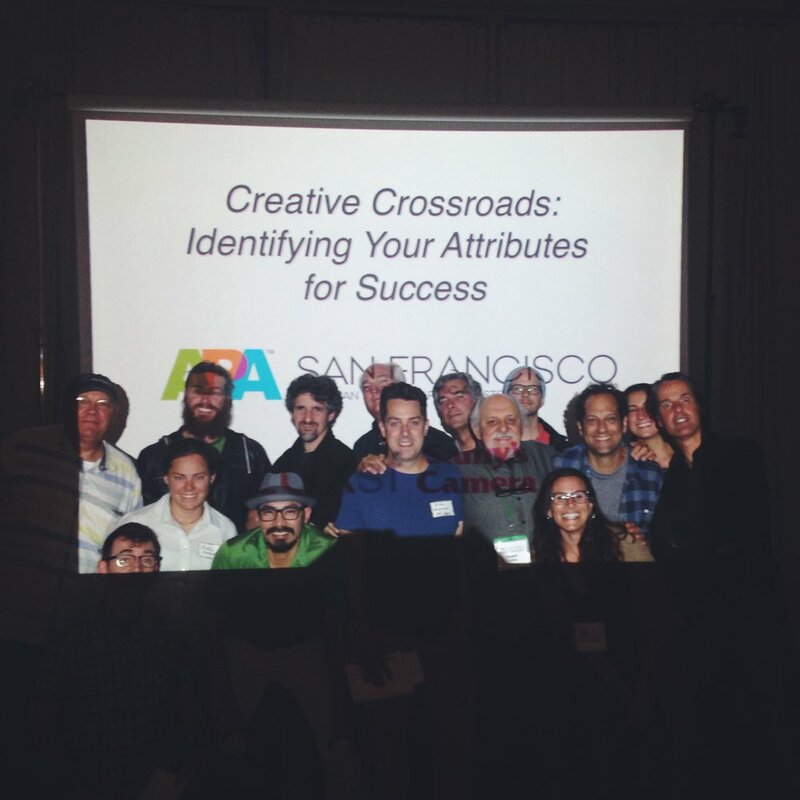 APA/San Francisco members pose after a Creative Crossroads lecture. College of the canyons presentation on Passion as the focus of your work. The following classes are offered through the Art Center at Night, South Campus, 950 South Raymond Avenue, Pasadena, California. The next term begins September 11, 2017. Registration begins August 14. Change is inevitable. Your job changes may be big or small, they may be caused by your or by outside forces, but they all involve some form of introspection on what you want out of your life and consideration of the impact your decision will have on the lives of those you care about the most. 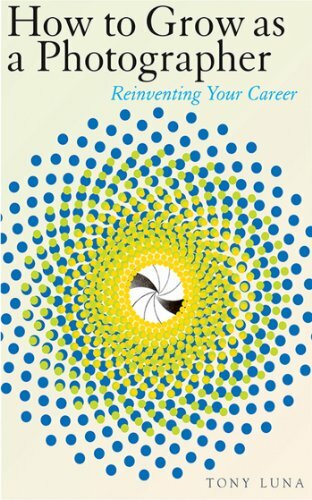 Crafting a Meaningful Career is a unique course that offers its participants the opportunity to examine the pros and cons of past employment, deep dive into what motivates each member, evaluate individual risk tolerance, and how to create a plan to confidently move on to the next level. It’s about defining one’s unique purpose and how to make it a reality, not about filling in someone’s place on an HR manning table. Drawing on over forty years of experience as a creative consultant Tony Luna will help you discover your new role and connect with a growing network of talented people who are now living their dreams. Redefine your goals and explore the exciting possibilities your talent has in store for you in this information-packed, vital, and enlightening class! In the words of George Eliot, “It’s never too late to be who you might have been." Classes are regularly offered in the mid-Spring, mid-Summer, and mid-Fall terms at the Art Center at Night, South Campus, Pasadena, California. The first class is “Crafting a Meaningful Career- Part One-Discovering the Dream.” The class runs for fourteen weeks, one class per week, three hours per class. Price: $595.00 for Part One. “Part Two- Forming the Dream” and “Part Three-Fulfilling the Dream” are both one session for six weeks each and they focus on building a business plan based on the outcomes of Part One. Price: $249.00 for Part Two, and $249.00 for Part Three. Click here for more information on Art Center at Night-Public Programs or Call at 626-396-2319. A one-on-one consultation provides you with the opportunity to privately discuss the dynamics of your career choices, and create a career plan that will help you get the most of your talent. Typically private consultations consist of an initial, free of charge, evaluation meeting to determine your individual creative challenges and assess the amount of time necessary to meet your particular creative needs. A client may need to address only one session to meet their needs, or they may need more extensive assistance to design an entirely new career path. One-on-one creative consultation to help you redefine your passion, review your portfolio, create a marketing plan, devise a brand strategy, or other sessions related to career building issues are $250.00 per one and half hour session. Should a more lengthy consultation be necessary an agenda with goals will be developed, and a fee will be agreed upon which will be appropriate to the individual scope and needs of the client. Lectures and workshops by Tony Luna will be announced in this section. Please check this site for announcements regarding sessions in your area. If you would like to schedule a session please contact tony@tonylunacreative.com. By drawing on his forty-five years as an Artist Representative/Producer of Film and Photography, along with his thirty-three years as an Adjunct Professor of Business Practice at the Art Center College of Design, and as a Creative Career Consultant, Tony Luna has studied and helped thousands of students and clients either start of reinvent their creative careers. 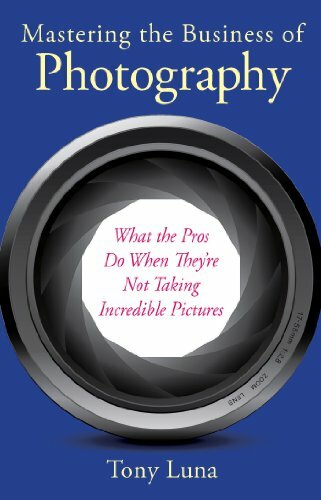 He has had the honor of delivering lectures nationally and internationally, and he has written two books on how professional photographers began and maintained their careers based on their own unique visions. 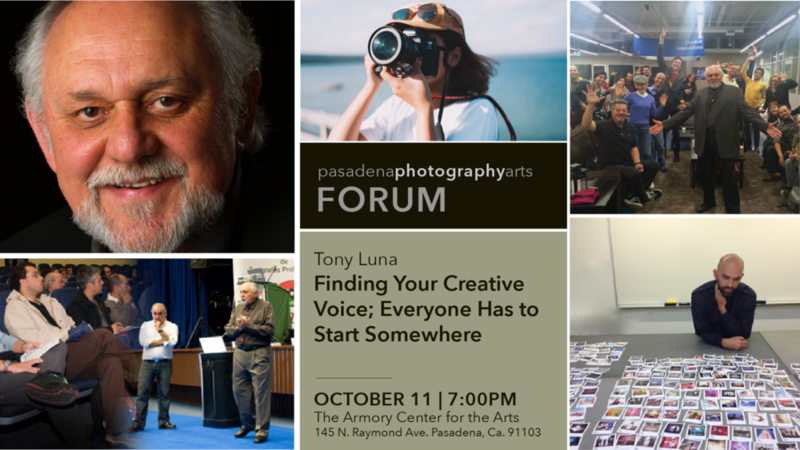 In this lecture Mr. Luna will examine the Stages of Creative Career Development, discuss the inspirations that led famous photographers to start their careers, examine the development of several up and coming photographers, and give several suggestions on how to discover your own creative path. If you ever questioned what it takes to become a successful photographer/artist this informative and inspirational lecture is for you. - Design X/Innovate Pasadena- ““What’s Your Story?” A presentation on how to create a compelling story about your product or service. Tony Luna Creative- Workshops may be tailored to the needs of the group requesting them. The usual format is an intensive weekend (Friday afternoon, all day Saturday, and half-day Sunday) covering a specific topic such as a Timeline exercise comparing your work history and your personal history, or an Asset Matching exercise intended to help the attendees discover new career options. 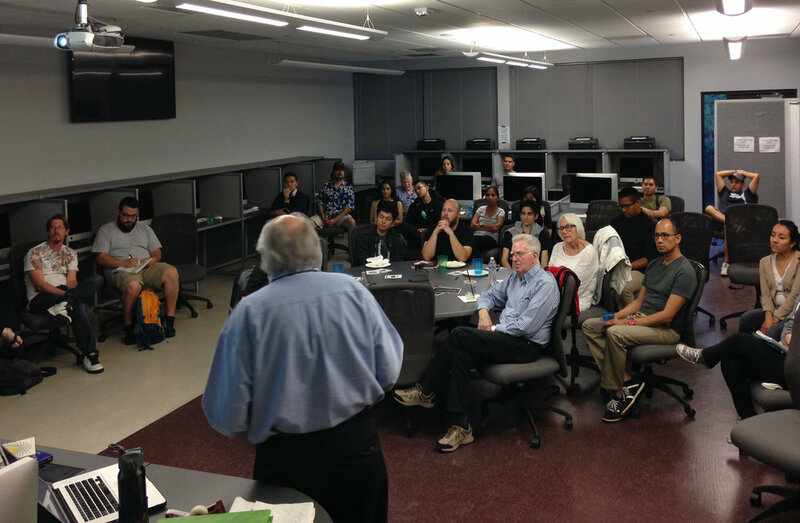 Previous workshops have been held at Woodbury University, Burbank, California.